Cork is not a county I know well, but I can say with confidence that it isn’t a politically ‘unstable region’. I don’t go to Scotland much either, but again, I know it’s not one of the notoriously volatile parts of the world. So why do politicians and commentators keep insisting that Ireland’s gas is sourced from “volatile regions”, when in fact it comes from the North Sea and Kinsale? The Rossport Five were in prison at the time. Dempsey, whose ministerial portfolio included the Corrib Gas project, was stressing the urgent need to bring new gas ashore as supplies from Kinsale dwindled. 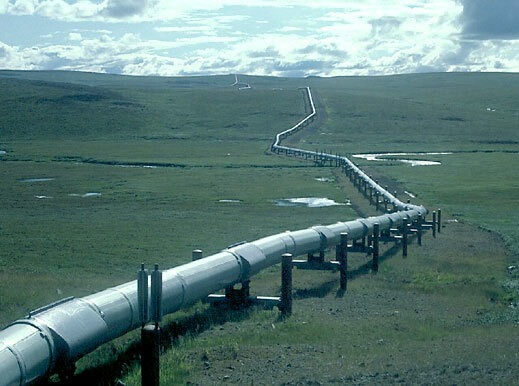 Could this the mythical gas pipeline to Russia? Dempsey was articulating a myth that was – and still is – widely held. Debates about “security of supply” in Ireland frequently feature references to the “pipeline from Russia”. We must get the gas ashore quickly, the argument goes, as the Russians or Ukrainians might turn off the taps at at any moment. Back in reality, not a single cubic foot of Ireland’s domestic gas supply is sourced in eastern Europe. Around 95% of our gas comes via Scotland from Norwegian gas fields in the North Sea. The remainder comes ashore in Co Cork from the Kinsale and related gas fields. Is a diplomatic row between Scotland and Ireland likely? Or between Cork and the rest of Ireland? However, there is a security of supply issue, albeit a minor one. All of that imported gas does reach us through one pipeline in Scotland. There is a tiny risk that transmission through this pipeline could be interrupted due to damage to this onshore pipeline. There is a “very low probability” of this, according to John FitzGerald of the ESRI (Review of Irish Energy Policy, April 2011). The supply splits into two interconnector pipelines under the Irish Sea both to the Republic. A third pipeline brings gas from Scotland to Northern Ireland. An onshore pipeline could be fixed much more quickly than an undersea pipeline. The real problem in relation to security of supply in Ireland is that exploration in Irish waters (or indeed onshore) will not improve our security of supply. Our licensing terms do not require companies who find oil or gas in our waters to supply the Irish market. They are not even obliged to land it in Ireland. To spell this out in simple terms: Ireland’s licensing terms for oil and gas exploration, which remain largely unchanged since they were introduced by Ray Burke and Bertie Ahern two decades ago, serve to weaken Ireland’s security of gas and oil supply, not strengthen it. This entry was posted in Corrib Gas project, Gas prices, Media coverage, Security of supply and tagged Colm Rapple, ESRI, irish gas, Noel Dempsey, North Sea gas, security of supply. Bookmark the permalink. This might be true but if the pipelines from Russia were shut down, due to a political incident or a mere accident, this would result in a huge shortage of supply in Europe meaning everyone would be looking to the Norwegians for a alternative supply. Even taking into account long term contractual agreements the likes of Bord Gais may have with Norwegian suppliers, the Irish supply would still be squeezed. Also I’d like to see a source for your information as to my knowledge a lot of the gas contracted to Irish companies does come from Eastern European countries. And one final point, though ‘An onshore pipeline could be fixed much more quickly than an undersea pipeline’ this would still be in the order of weeks. If this line went down, as unlikely as it may be, this Irish economy would be crippled. That is not an exaggeration. Hi Gavin, thanks for you comment. > companies does come from Eastern European countries. > would be looking to the Norwegians for a alternative supply. Indeed, but if that were to happen, the same would apply to any gas being extracted from Irish fields: a surge in demand in western Europe would mean the private corporations who had been gifted our gas would sell it into Europe – unless we in Ireland outbid those other countries. To put it another way, the effect of the Ray-Burke-Bertie-Ahern licensing terms is that a gas field in Irish waters is the same as a gas field in Norwegian waters, as far as Ireland’s security of supply is concerned. That’s globalisation, folks. > economy would be crippled. That is not an exaggeration. Yes, this is a concern. Perhaps Ireland should organise with the British/Scottish government to build a second pipeline through Scotland? I just don’t think the potential vulnerability of a pipeline in Scotland should be used to justify handing over full control and ownership of our resources to private companies without any requirement that they be supplied to the Irish market; nor should it be used to justify forcing through a disastrous gas project against the wishes of a Mayo community. In fact, our terms weaken our security of supply, because they incite companies to extract and export our resources. This means that in decades to come, when there is much more likely to be a European shortage, much of our gas may have been exported. EU energy market means that gas produced in any EU country, under normal circumstances, must be allowed enter the common EU market. This common market is central to the main point in my original comment. Though currently our gas may be sourced in the North Sea, the gas entering the EU from Russia is also, indirectly, very important to our supply due the commen market. And as North Sea production continues to decline as it is currently doing; http://www.geo.tu-freiberg.de/oberseminar/os06_07/krause.pdf, we will become directly dependent on Russian gas unless our native reserves are exploited. While your comment ‘that a gas field in Irish waters is the same as a gas field in Norwegian waters, as far as Ireland’s security of supply is concerned’ is simply not true. As mentioned in an article you cited by Prof John FitzGerald (http://www.esri.ie/UserFiles/publications/RS21.pdf), Irelands entire imported gas supply comes through a single pipeline in Scotland. For Irish gas to be exported through this pipeline, it would mean Ireland would have to become a net exporter of natural gas or develop substantial storage facilities; both of which are unlikely in the medium term. Therefore gas found in Irish gas fields does reinforce Ireland’s security of supply. Regarding my second point, I was just to outlining to your readers that though ‘an onshore pipeline could be fixed much more quickly than an undersea pipeline’ any major fault with it would still result in enormous damage to the Irish economy. While your question on whether or not a second pipeline should be constructed, I would be inclined to say no. So long as the Corrib field starts production and our shale gas resources are exploited, a new pipeline is not necessary. In fact if one was constructed, it would mean any increase in production from Irish gas fields would then no longer increase Ireland’s energy security just like the factitious scenario you have outlined to be the case currently. May I just finish by asking you to outline how our current licensing laws ‘incite companies’ to ‘export our resources,’ in the context of our gas resources? And how you would change our licensing laws to better serve us, bearing in mind EU rules regarding the common market and the fact Ireland has a very poor strike rate when it comes to gas production.